Post-Impressionist Dutch painter Vincent van Gogh, born on March 30, 1853 might not have had success in his career when he was alive, having only sold one out of the 860 oil paintings he completed during his lifetime, but the successes that his works continue to garner afterwards have far surpassed what could be termed as a miserable life that was marred by bouts of mental instability. Starting out with somber and dark canvases with sharp contrasts, he switched to canvases that were full of life, movement, color and light. “The Starry Night,” “Irises” and “Vase with Fifteen Sunflowers” might be the most iconic and highly-recognizable of his paintings, but he did several more that were as impressive and as colorful as these. For van Gogh, color is the main and central form of expression, especially when he discovered the works of many Impressionists artists, some of whom he met and befriended. Vincent van Gogh’s legacy lives on, with modern painters such as American Modern Impressionist painter Stefan Duncan, Contemporary Impressionist Lee Tiller and Czech artist Vitali Komarov. Noord Brabant, the Dutch province where Van Gogh was born, Dutch designer Daan Roosegaarde just recently installed a one-kilometer long illuminated cycle path with swirling patterns that refer to van Gogh’s “The Starry Night” painting. The cycle path is coated with a special paint that glows in the dark, after storing energy from the sun. 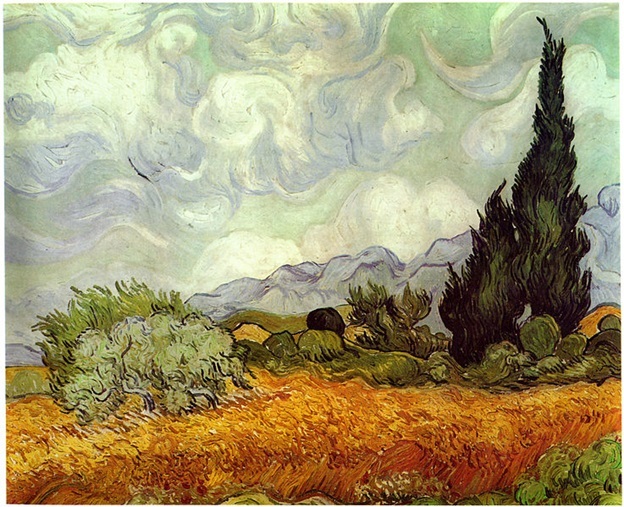 Vincent van Gogh was lacking in self-confidence and was highly emotional since he was young. His one true friend was his older brother, Theo, an art gallery manager, to whom van Gogh wrote about 800 letters throughout his life. He was the son of a pastor and at one point in his life wanted to be a pastor himself. He painted his first major work, “The Potato Eaters” in 1885 while still in Belgium. It was a somber-looking painting, showing five people in a small, cramped room, having potatoes and coffee, which could well be their evening meal, with the only illumination coming from an oil lamp placed overhead. When he went to Antwerp on 1885, he was intrigued and inspired by the Japanese prints, and had in fact created some paintings that were inspired by Japonism. He also saw the works of another classic master, Baroque painter Peter Paul Rubens. Japanese art was a great influence for some of his works because he admired the woodblocks’ simple and elegant lines, the flat areas that were applied with pure color, their bold designs and the intensity in which the colors were used. The influence of Japonism in his works could be seen by the way he used black contours and color contrasts. His use of cropped compositions was also influenced by Japanese woodblock prints. Two of his works that were clearly influenced by the ukiyo-e woodblocks are “Courtesan” (after Eisen) and The “Blooming Plumtree” (after Hiroshige), which he both painted in 1887. He moved to Paris join his brother Theo in 1886 and studied art with French painter Fernand Cormon. His palette became lighter and colorful when he met Paul Gauguin, Claude Monet and Camille Pissarro. He also started painting like the Impressionists, with shorter brushstrokes applying pure and unmixed colors. Paul Gauguin was said to be one of the artistic influences in the latter career of Vincent van Gogh. He and his brother Theo met Gauguin in Paris late in 1887. When van Gogh decided to move to Arles where he planned to establish his own studio and form an artist colony, he invited Gauguin to join him. After some persuasion, some of which came from Theo, Gauguin joined van Gogh in Arles and started painting together. But van Gogh’s highly emotional personality eventually clashed with the arrogant and domineering character of Paul Gauguin, which ended on a very sour note, causing van Gogh to slash part of his ear lobe. After many bouts of mental instability and illnesses, doctors’ treatments and asylum stays, he finally committed himself to the Asylum of Saint-Rémy. He was given two rooms in the hospital, with one room made into his studio. During his stay, the clinic and its garden and the surrounding area that was planted with olive trees and cypresses, and had cornfields and vineyards became his main subjects. 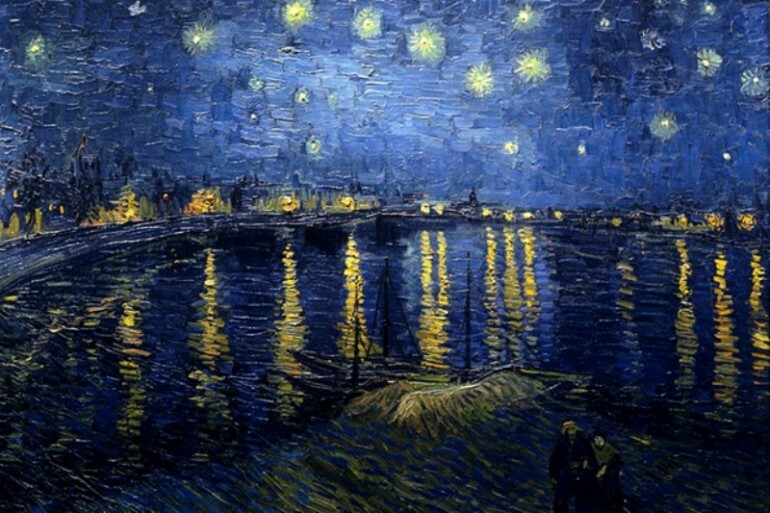 Most of van Gogh’s major works were done during this period, including “The Starry Night.” Most of these are characterized by the swirls of colors that had become Vincent van Gogh’s trademark. His works, according to art critics and historians were very emotional, imaginative, rhythmic, dramatic and powerful. He may have sold only one painting while he was alive but his paintings today fetch some of the highest prices at auctions.